verb (used without object), escaped, escaping. Escape: from John Smith to Lewis and Clarke, Mark Twain to Jack Kerouac, no other word seems to embody the spirit of what it means to live in this great wide-open America. The thought of escaping the monotonous lull of everyday life is one of our most basic human urges, and to this end, we strive to attain our own personalized version of independence. 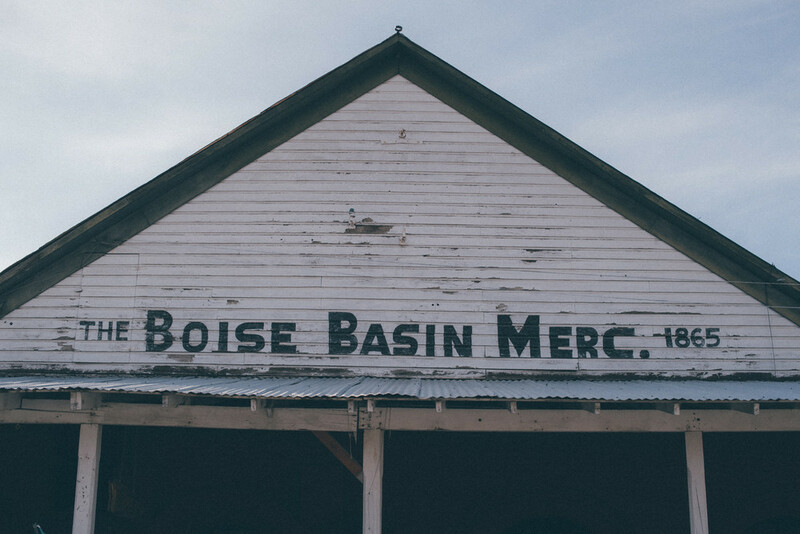 Here in our little piece of what some call Iowa, or Ohio, or simply a giant potato farm, there is a stretch of asphalt that winds and twists from the arid high desert over the Boise River into the Boise National Forest, where it passes through historic Idaho City. The road in question, Idaho State Highway 21, has a deep-seated relationship with the romantic idea of freedom. 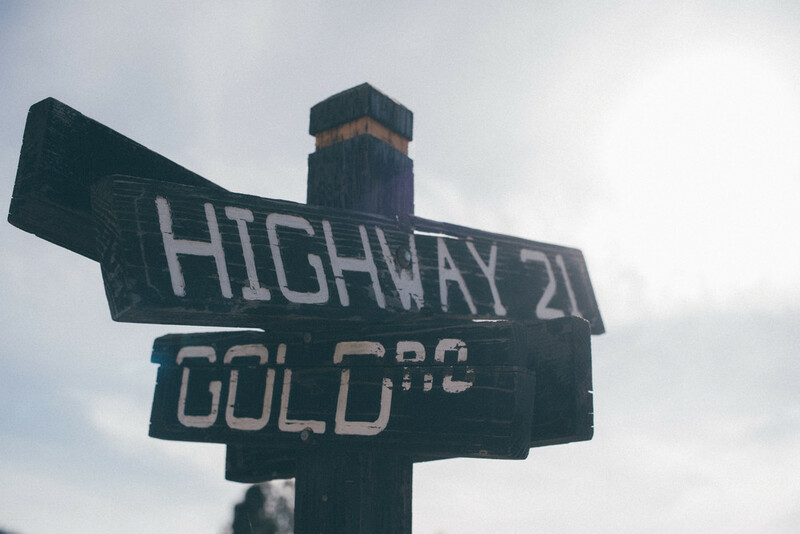 Situated directly in front of the office, Highway 21 makes for a welcome and easy escape from the struggles and responsibilities of everyday life. Idaho City was a boomtown in the 1860’s as part of the great western gold rush. For a brief run of five to six years, it was the largest city in the northwest. People flocked to this small mountain town looking to claim riches that would set them free. Yet as quickly as it boomed, it went bust. 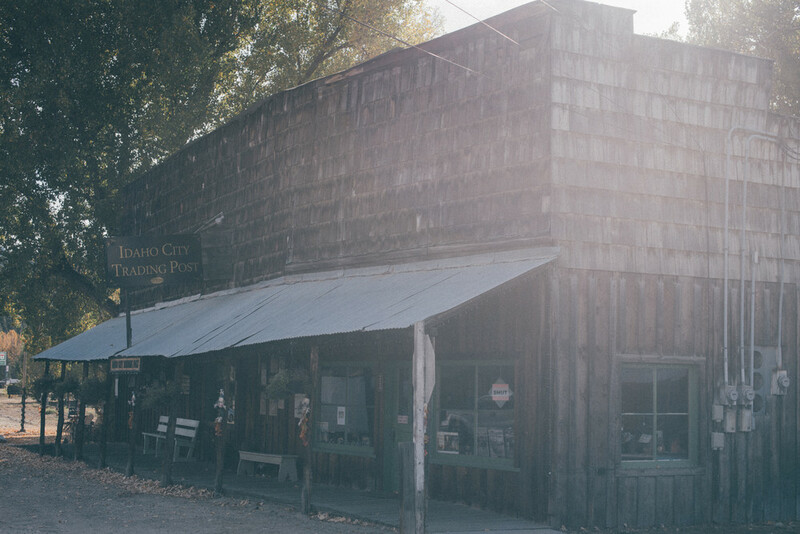 Despite the current population falling under the 500 mark, Idaho City has somehow managed to remain uniquely original, as many of the buildings are not only still standing but also remain occupied with local businesses. To this day, despite modern luxuries such as asphalt and the occasional guardrail, the road leading to Idaho City has not changed much since the early days of 1860. With afternoon temperatures lingering in the mid-60s, and no two trees bearing the same color, the fall season is the perfect time to shut down the computer and turn off the phone, leave the deadlines, emails, meetings behind and let the numbers crunch themselves. 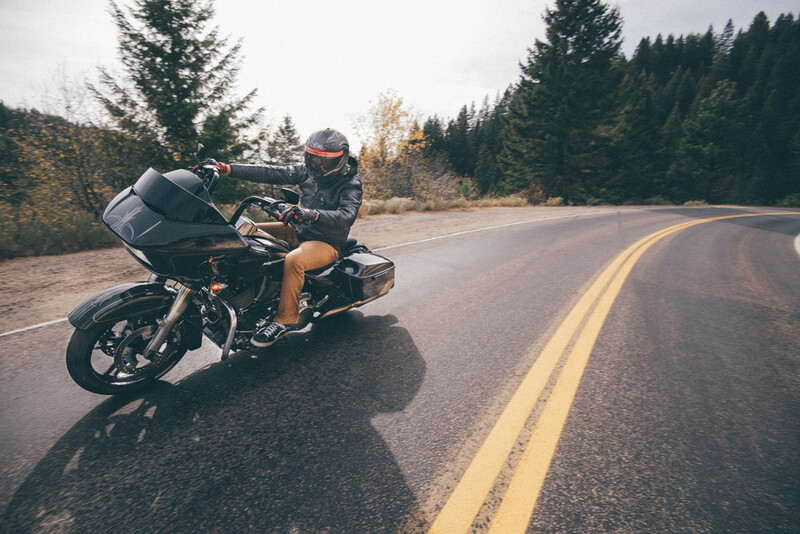 Nothing beats rolling out of the office mid-day with that signature Harley rumble between your legs, allowing the twists and turns of the open road to carry you toward a divine sense of clarity. 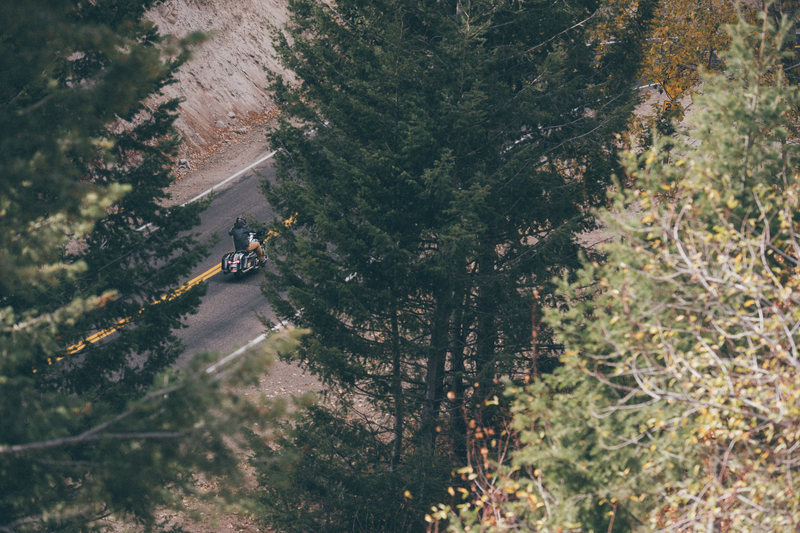 This Wednesday afternoon, as simple as it sounds, was an escape from everything not directly related to winding harmoniously down this historic highway on a motorcycle. Just as it did for the miners some hundred odd years ago, this road promises riches. Yet unlike the settlers of that bygone era, Highway 21 consistently provides the riches we’ve been looking for. 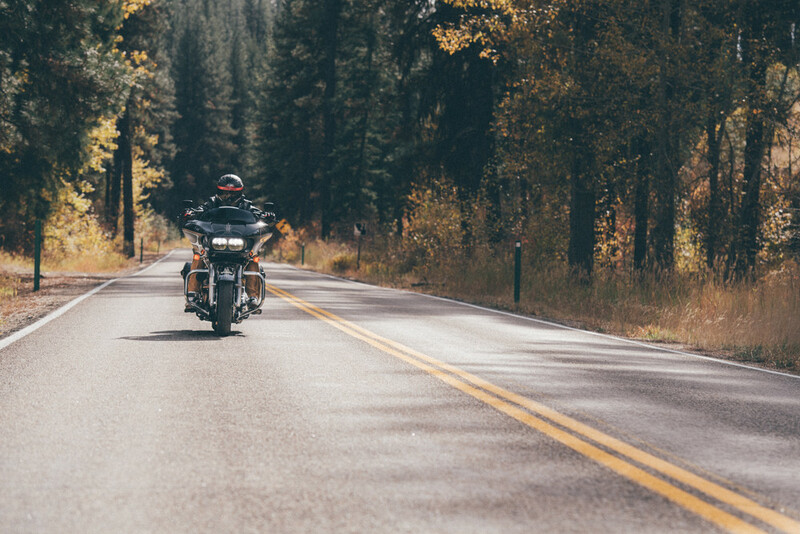 As the beautiful, unrivaled scenery of home unfolds before our eyes, we can’t help but recall the simple words of Jack Kerouac: the road is life.